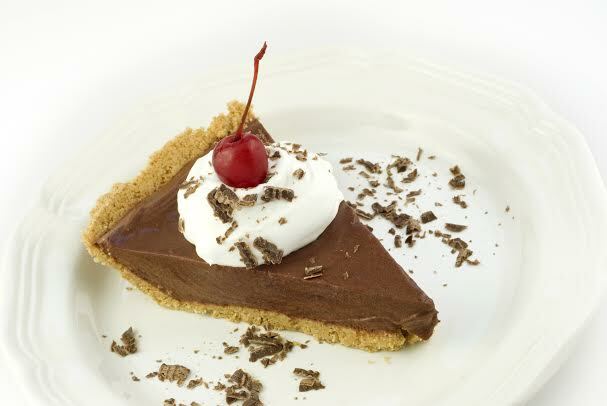 Today, I am happy to feature a fabulous recipe for Chocolate Pudding Pie. This recipe is courtesy of Beverly Worth Palomba from her Special Day Cooking: A Life Skills Cookbook and I thank her for giving me permission to reprint it here. Palomba finds that cooking with kids teaches them both cooking skills and life skills and her book is written especially for budding young cooks. The recipes in Special Day Cooking are in large type, and are formatted in consistent, easy-to-follow steps for all skill level. The recipes are great for children, those with learning disabilities, and those with autism or other special needs. The recipes are safe — needing only a microwave, toaster or blender and a plastic knife to cook, and sometimes no equipment at all — and can all be completed in one hour or less. I agree that cooking with kids is a smart choice and a fun choice and this recipe for Chocolate Pudding Pie sounds like one that will be very rewarding for the effort you put into it! Put a paper towel on your cooking area to catch spills. 1. Open pie crust package. 4. Gently press foil back down around edge of pie crust. 5. Place pie crust with aluminum plate into your pie plate. Set aside. 1. Open (5.9 ounce) package of instant chocolate pudding mix. 2. Pour pudding mix into large mixing bowl. 3. Measure 2 ½ cups milk in liquid measuring cup. Add to pudding mix. 1. Pour pudding into pie crust. 2. Smooth pudding evenly in pie crust with rubber spatula. 3. Cover pie with plastic wrap. Put in refrigerator for 1 hour or more to thicken. 1. Top each piece with a scoop of whipped topping before serving. I hope you enjoy making this easy chocolate pudding pie recipe with a someone in your life. If you want more easy to make recipes check out Special Day Cooking at SpecialDayCooking.com or Amazon (affiliate link). Do you like cooking with your kids? What is your favorite dish to make?